Easily one of the most anticipated launches of the year, the 2018 Hyundai Santro has made a big entry in the small car space. It comes packed with modern must-haves, the backing of Hyundai’s extensive service network and the nostalgic Santro nameplate. But, if you look closely, there are a few areas where Hyundai has held back on features, despite pricing the hatchback at a slight premium. 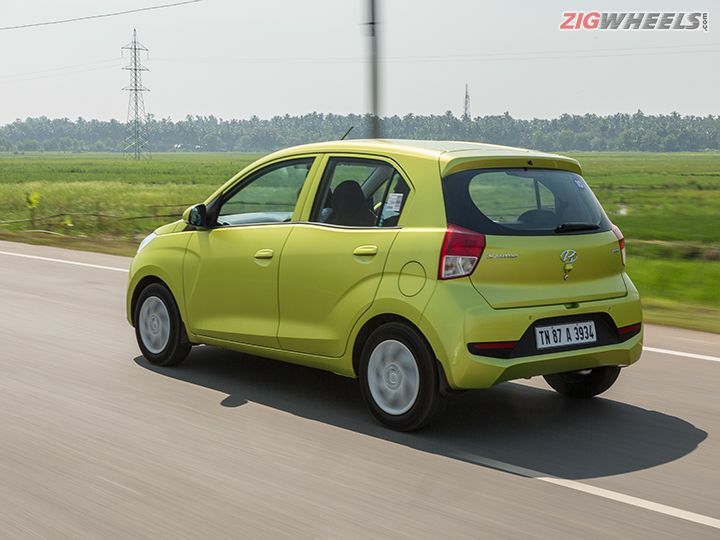 And while these misses do not make it any less appealing, we feel these five feature additions would have made the Santro a lot more value for money and the outright choice in the segment. First, let’s look at what we like. 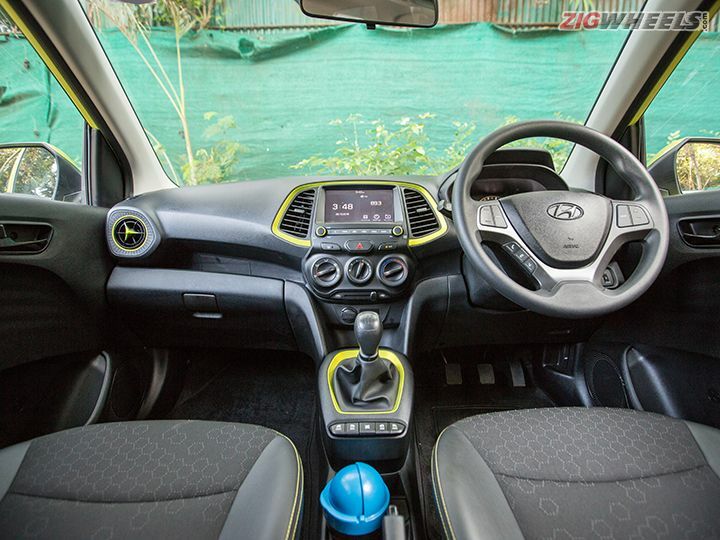 While cars in this segment have been known to cut corners when it comes to the quality of materials used in the cabin, the Hyundai Santro’s interiors set a new benchmark for others in the segment. 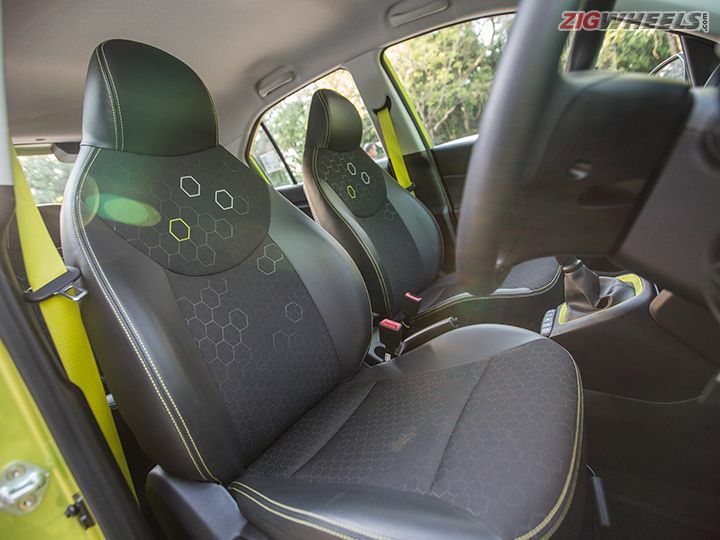 Right from the plastic quality to the textures and fit-and-finish, the Santro’s cabin feels premium. What we particularly like is the centre console layout, which not only looks good but is also neatly laid out for ease of use. The buttons are tactile and feel nice to use, while the power window switches, which are placed at the bottom of the gear shifter, are easy to reach for both the driver as well as the front passenger. Meanwhile, the green accents around the AC vents, which are offered exclusively with the Diana Green paint, liven up the cabin. While the Diana Green paint might be a little too flashy for some, it will appeal to younger buyers looking to stand out from a sea of white hatchbacks. A similar paint is offered in the Alto 800, which sits a segment below. However, we feel that the Santro, being a bigger car, pulls it off better. The Hyundai Santro has a powerful AC unit which is quite effective in the way it cools the cabin. Helping the process further are the rear AC vents. Thankfully, these are not re-circulation vents which draw cool air from the front and blow it into the the rear half of the cabin, like what you find in most budget cars. Instead, these are actual AC vents which draw cool air straight from the condenser into the cabin. The presence of rear AC vents should help cool the cabin quicker in harsh Indian summers when the outside temperature hover around the 40 degree celsius mark. The Santro really impressed us with its ride quality inside the city. It remains composed over potholes and bumps and doesn’t toss its occupants around. Inside the city, the drive is comfortable, with small speed breakers being handled with ease. Even at triple-digit speeds, the suspension keeps the car fairly planted and doesn’t feel overly bouncy. 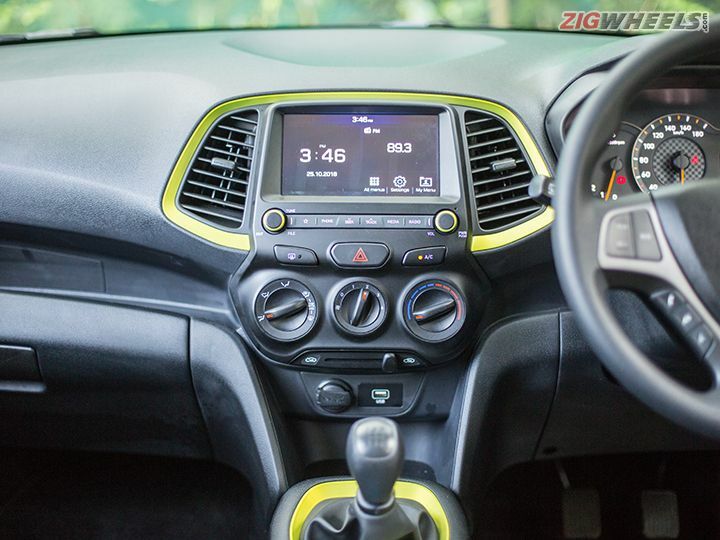 The 7.0-inch touchscreen infotainment system of the Santro feels premium and sophisticated. Apart from the standard Bluetooth connection, you also get other connectivity options such as Android Auto and Apple CarPlay. The system feels responsive and the capacitive touch response feels on point. What’s even better is the fact that you don’t have to spend big bucks for this system as it is available in the Sportz variant as well. 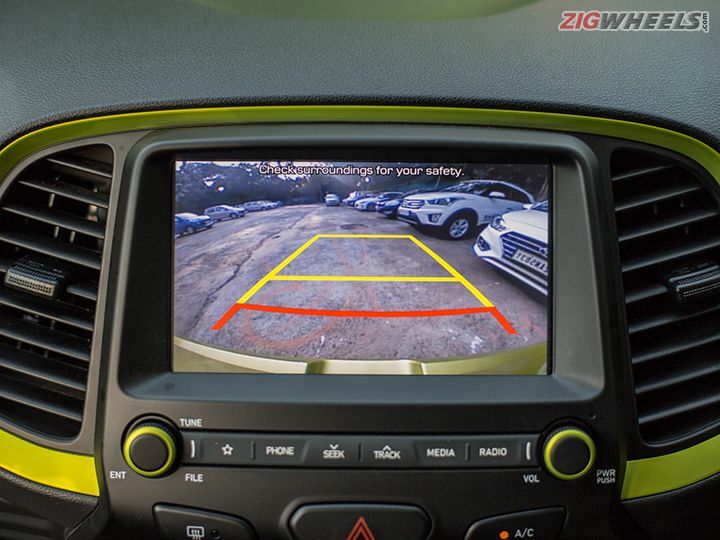 The Asta variant goes a step further by offering a reversing camera, reverse parking sensors and a rear washer with wiper. The only thing letting this infotainment system down is the audio quality from the speakers, which feels flat and rather dull. Now that you know about the features that impressed us, its time to move on to the bits which left us wanting for more, especially considering the slightly premium pricing. Hyundai has aptly provided the all-new Santro with a driver airbag and ABS with EBD as standard, which is a must-have in a modern car. However, dual airbags are only offered on the top-end Asta variant. We feel the same could have been offered at least as an option for buyers who can make that choice. Other features like rear parking sensors, front seatbelts with pretensioner and load limiter, speed-sensing auto door lock and impact-sensing auto door unlock have also been reserved for the top-end variant. The safety package would have been a lot more appealing if a few of these features, especially the seatbelts with pretensioner and load limiter was available in the lower variants as well. 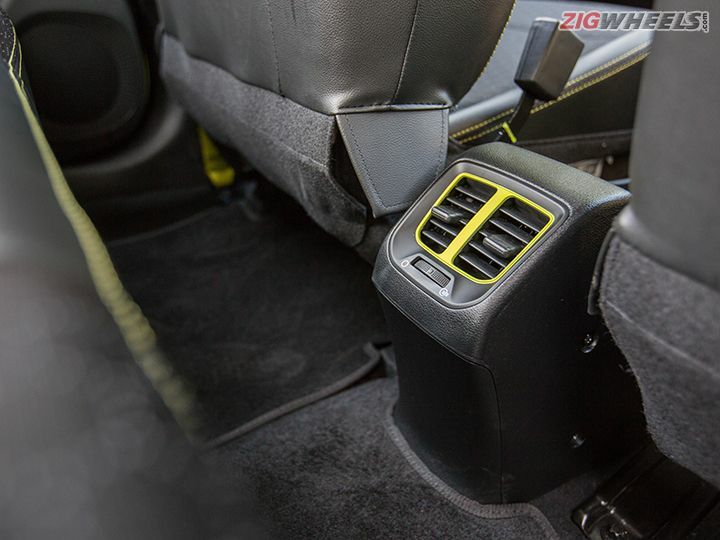 Its rivals that cost as much, like the Tata Tiago, provide passenger airbag and seatbelt pretensioner with load limiter as an option right from the second variant. Maruti does so with the Celerio as an option right from the base variant. Hyundai could have also taken the same initiative and offered the said features, at least as an option for the lower variants. In an age where buyers see their cars as an extension of their personality, looking good is essential for quirky hatchbacks. And given the attention manufacturers pour in the design department, alloy wheels have become more common than ever. Sadly, the South Korean carmaker has decided to hold back on alloy wheels even on the top-spec Asta variant of the Santro, which costs Rs 5.46 lakhs (ex-showroom Delhi). The 165/70 R14 wheels with wheel covers are reserved only for the Sportz and Asta variants, while the bottom three – D-lite, Era and Magna – only get 155/80 R13 steel wheels with centre hub caps. 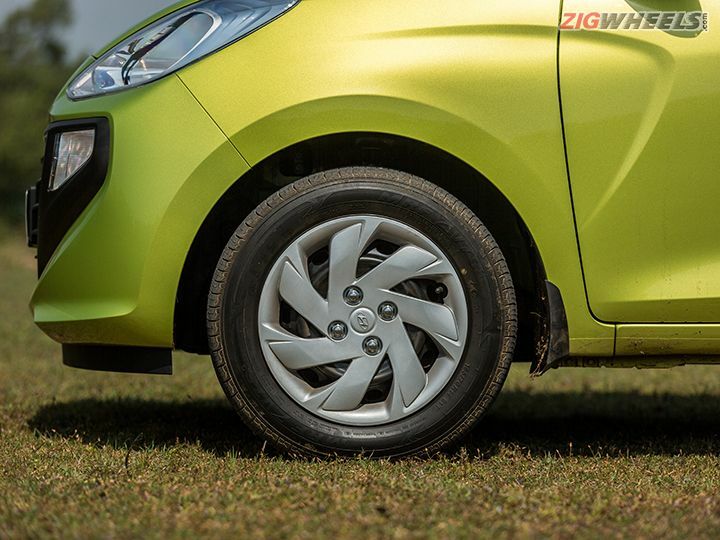 Both the Celerio and the Tiago get 14-inch alloy wheels in their respective top-spec variants. Also, other missing bits like LED DRLs, which are present in rivals like the Datsun GO, holds the Santro back from looking premium even in the top-spec Asta variant. Its 2018 and when it comes to cars, air conditioning is no longer a luxury but a baseline necessity. 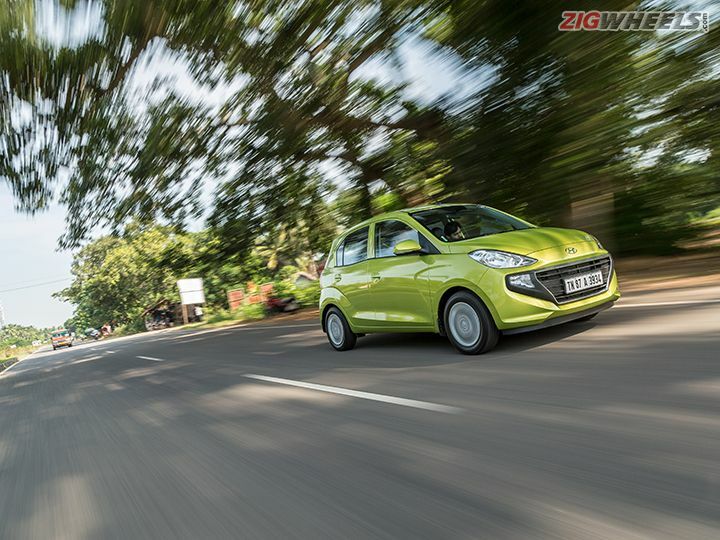 And while there are entry-level cars like the Maruti Alto, Datsun redi-GO and the Renault Kwid which hold back from offering an air conditioner in the base variant, the Hyundai Santro is supposed to be a segment above them and be more premium. Missing out on something as basic as an AC unit to keep the entry-level cost low seems like a big sacrifice, especially at that price. 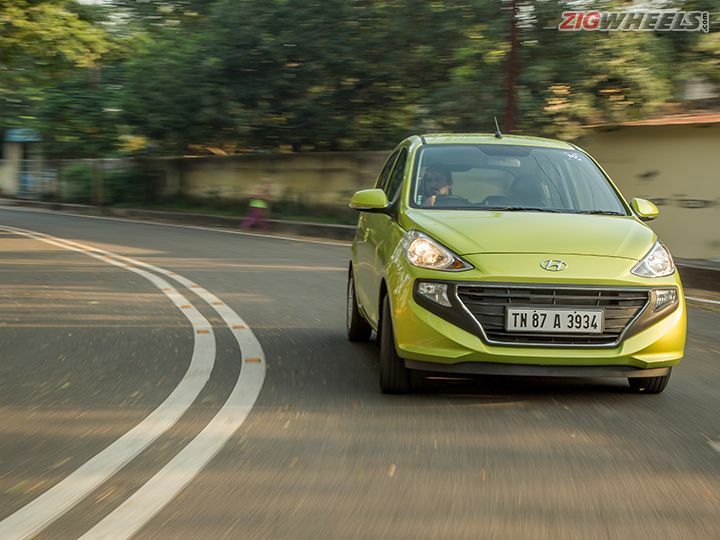 The Hyundai Santro misses out on both a steering tilt adjustment and a driver seat height adjustment. And while drivers with an average height – say between 5’5” to 6’ tall – can still get into a comfortable driving position, shorter or especially taller ones could face slight problems. Instead, they will be forced to adjust the seat’s recline angle and horizontal movement to find a comfortable driving position. The inclusion of a tilt-adjustable steering wheel would have been a big advantage for drivers. In order to keep the price of the top-spec Asta variant in check, Hyundai has decided not to offer the option of an AMT with it. 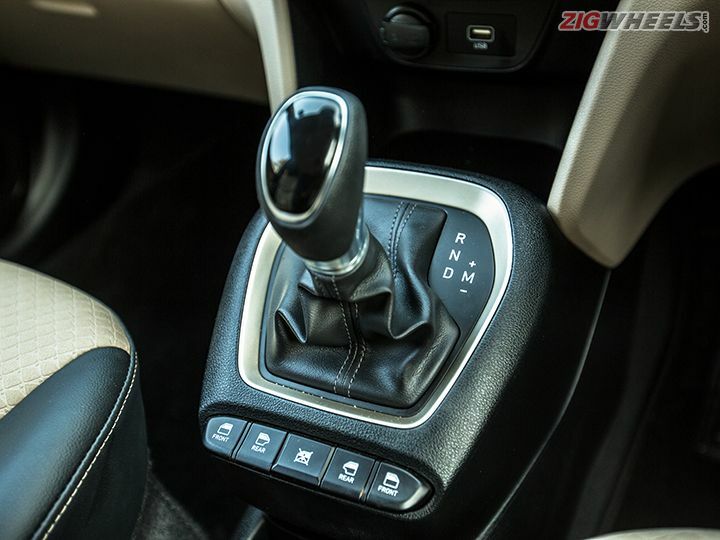 The automatic transmission is only available with the Magna and the Sportz variants, that too at a premium of Rs 61,000 over their manual counterparts. As a result, buyers looking for a fully-loaded variant with a touchscreen infotainment system, a reverse camera, parking sensors, dual airbags and a rear washer with wiper don’t get to opt for an AMT. However, we expect Hyundai to launch the top-spec variant with an AMT a few months down the line when the prices are revised. 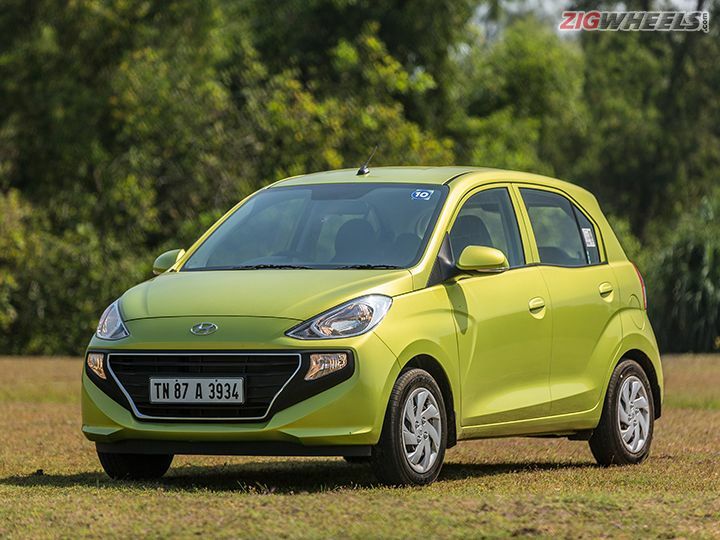 These feature additions would have made the Hyundai Santro a true value for money package and a tough competition to the current cars in the segment. Currently, the Santro is priced from Rs 3.9 lakh to Rs 5.64 lakh (ex-showroom Delhi). If it were not for these omissions, the Santro could have sailed past the competition from rivals such as the Maruti Celerio and the Tata Tiago quite easily.